Hollywood ‘A list actress looked simply sensational wearing a multicoloured three quarter length print dress and white strapped heals. British born Thandie further enhanced her look with glossy red lipstick and hooped earrings. In Brief: Through a series of daring escapades deep within a dark and dangerous criminal underworld, Han Solo meets his mighty future copilot Chewbacca and encounters the notorious gambler Lando Calrissian. It’s a journey that will set the course of one of the Star Wars saga’s most unlikely heroes. Award winning actress Thandie Newton was born in Westminster London. Amongst many TV production and movies, Thandie appeared along side Tom Cruise in Mission Impossible 2. Thandie has a number of prestigious awards including a BAFTA award for Best Supporting Actress in 2006 for her role in Crash. Directed by Ron Howard Solo: A Star Wars Story stars actors: Woody Harrelson, Emilia Clarke (Pictured above), Donald Glover, Phoebe Waller-Bridge, Joonas Suotamo, Pau Bethany and Thandie Newton. 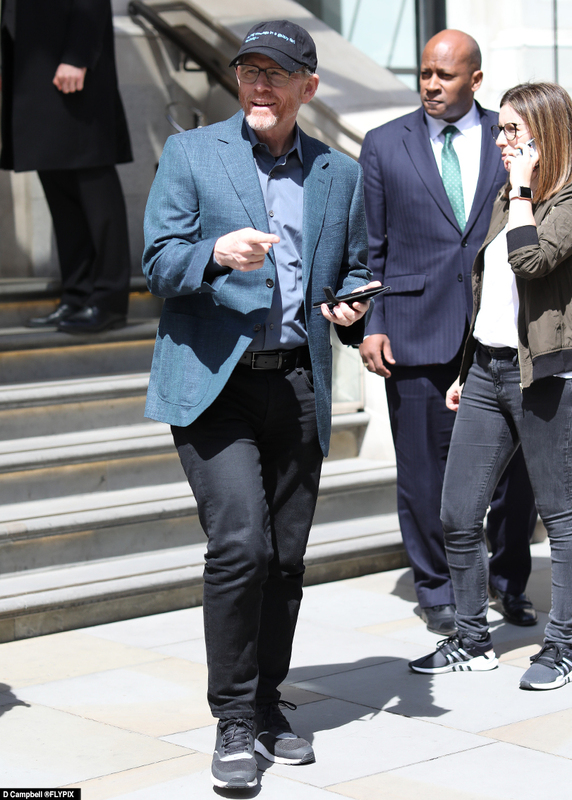 Movie Director Ron Howard (Jurassic Park) pictured leaving a hotel in London.